We start on Saturday from Jakarta Selatan at 8.30am. Traffic still all right, no jammed street. After passing Tangerang exit (to BSD) there’s road fix for around 5kms. We still could drive 40-50kmph. Its not really that difficult when driving from Jakarta with google map printed and gps from Phone. We decide not to rush and just enjoy the trip. The first stop would be at the toll rest area to get some fuel for the car an water for the trip. So we had snacks from the rest area and car tank full with fuel and set the music here goes the ride. Its quite smooth beside the road fix near the Tangerang. It doesn’t do any jam maybe because its weekend. one of the useful map for fuel station--its to Umang resort, but its pass Tanjung Lesung! After one-two hour the view from the toll road is change into rural area with smaller roads. I know by then, we already in Serang. Again it’s not as hard as I imagine to navigate with the google map printed for our driver. We pass several traditional wet markets and slow down a little bit. Passing schools and the kids were back from school. There are a lot of rice fields, and green trees out there. I wish could roll down the window and just have the fresh air in, but due to my recent eye surgery I can’t do it—don’t want to get some dust get to my eye. After three hours it’s quite boring. But when we arrive in Penimbangan, I could see the beach on my left side I got excited again! Penimbangan connect the street from Anyer-Carita to Tanjung Lesung. It’s like in middle of nowhere after sometimes on that road. The street get smaller, and I turn on my gps again to make sure we go to the right direction (the hotel put their coordinate on their website, its -6.493981,105.676041 just put this number on your google maps or gps on smart phone and it will direct you to the hotel). But its only 5kms away!! Yay! There is several home stay. It looks pretty basic with the fishing village around it. I could see its quite fun to stay with local people. When we saw the resort gate, I would say “YAAAAYYY finally! !” and quite surprise it’s still mid day! It took us less than 4 hours to get here! The security will pass you a card to enter the resort. If you get out you will give the card back to the security guy. The resort area not fully developed. It’s beautiful, and its sooo green with lots of rice field in right or left. I didn’t see any beach! It took around 3 kms to get to Blue Fish. And I could imagine it must be really dark at night in here!! I barely see any light pole at the street. When we turn right not long after second roundabout, following the “Blue Fish” sign (one sign as “Bunar B & B” also the sailing club), there is no black road anymore. The road very small, I don’t know how it goes if there’s two cars passing by from different directions. It’s pretty raw street with rice field on both side. It’s around 2kms bumpy pebbles street until we could see the accommodation on left side. Blue fish is more than I expected. It’s VERY quiet, not long after we found out that we are the ONLY people who rent the rooms! The staff very quick and had good English. He said most of the expat comes to this part of resort. He hand us the keys and two coupons for rides at the BEACH CLUB. He said we should pick one that not use any fuel. Means; kayaking, snorkel, etc that not involve engines—then we had to pay. We check the pool and beach before get to the room. There’s not much for beach. But, the swimming pool is clean!! They had some chairs and a good gazebo for bbq. You could even ask the staff if you would like to have the bbq. Despite of quite business, the hotel is very well taken care of. The grass is cut short and clean from garbage. It would be easier for them to let this hotel in bad condition because there are very rare visitor (perhaps) but nope… its quite squeaky clean! And I am happy about it. The room also not bad!! Well… no flat tv.. Still chubby tv with no dvd player. The toilet is clean. They give 4 towels and there is no fridge—no mini bar. Just two bottle of mineral water. Not even water heater… quite disappoint for this. They should really give the water heater so guest could at least made tea or coffee in the room. For something nearly 1mio rupiahs… I DEMAND the water heater jug! Haha! After taking few pictures, we went for lunch. Looking the sign board said “Sailing Club” not far from the hotel I will admit that it was actually a bad idea. First I would think it was good because then we saw the sailing club already and actually thought maybe the sailing thing is not really bad (got seasick very easy). We park the car at “well hidden” parking space sign. I was in very good mood and hungry and expecting some fresh sea food. We're in high expectancy. When I get down, there’s an old white guy with very thick English, I assume it was Australian (had Australian boss before) or British. He was telling me to go to go to register, and mumbling that he didn’t have his glasses. I was a little bit confuse and asking him very polite, if he need my help about register desk?? (because i thought he just a visitor same just like me). And he was a little bit shouting and said; I need to register! And again said he doesn’t need my help--well ok?. I was puzzled but still moving to the register desk as he points it. I told him twice, we already had our hotel and I don’t understand why we had to register there JUST TO HAVE FOOD????!! And on my back I heard him still with raised voice and its quite rude. My mood just went down. He doesn’t looks like anything like hotel/resort staff. He just this Caucasian old guy with cheap black short and white normal old shirt and sandals. If you met this kind of guy in resort, how do you think he actually the guy who “manage” that place???? And despite in HOSPITALITY industry, he was quite HOSTILE. He didn’t ask if WE NEED HIS HELP he didn’t APOLOGIZE when later he knew we stay at Blue Fish Hotel which still one group as place he manages. After almost 5 minute’s hassles and loud voice he finally get a grip and UNDERSTAND that we don’t need register we just want to HAD LUNCH at his empty restaurant. There goes my good mood that day!! Theres also a local lady that help us out to "yell" at him that we just want to have lunch and we are not intruder who just want to step on his "private" property. She told us that plenty of people come here just to go to the beach without staying or buying their food. I could understand they've being frustrated but--the rudeness is not necessary at all!! He then said something about nasi goreng but really… our mood just gone, and just like that we scratch this place from “must see” place after this incidence. I did manage to cool down others after this incident and sit still eat the food, but nothing special about this place. No need to go to Sailing Club part, feels like they had pet dog that bark to anyone that comes (he didn’t ask nicely… its not that hard, and I think my English also NOT THAT BAD to understand that hes being rude, by kept telling its private property??? Errrhhh I thought you rent it for rooms and you definitely had website said we could had food there.. hellowww?????). After the not so happy lunch we don’t want to ruin our day and went to the Beach Club. From the Bunar B&B we turn right to the sign said Calica Resort & Beach Club direction. It’s around 2kms from the hotel. Its half bumpy road and half black road. Hoping we will see something much better! 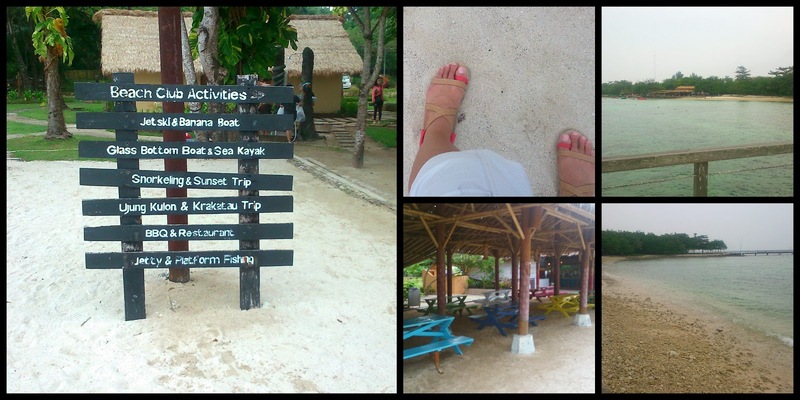 Jakarta-Tanjung Lesung (Banten) Part 1; another great weekend escape! It’s not much place you really want to be considering the traffic in Jakarta could be pain in the @ss. As harsh as it sound, you will agree when you trapped 2 hours in car just to get through 5 kms distance. One of my favorite places is beach. If I had option between jungle and beach I would choose beach! Ive spent 6 years with nature and grew up with buffalos on my backyard… not that I’m not appreciate nature but… seen that :) done it for years! i want beach if i can! The plan to Tanjung Lesung not that complicated. I was looking forward for another Anyer-Carita kind of weekend then I found out something about Tanjung Lesung. It’s quite far from Carita-Anyer, around 40kms. I was thinking ITS TOO MUCH for weekend trip! To Anyer-Carita itself it took around 4-5 hours due to the “classic” reason for traffic jam. And in total 10 hours more JUST for weekend in beach is something not appealing. But then, I found another alternative driving road from Jakarta to Tanjung Lesung that only 3-4 hours max, the plan seemed MAKE SENSE for me. All you need is to google your way here. Not pretty much on INTERNET---means its more quiet place.. and i LOVE quiet places... because it will be more clean! A warning! Tanjung Lesung is known for its EXPENSIVE resorts and beach with corals and rocks… its not white sandy beach you saw on internet. Its true… but I just want to see it at least ONCE! There are several accommodations on the resort area (they are one group). All of the accommodation is on the same huge area… and it still half developed with most of road still dirt with tiny pebbles… better not use your expensive low sedan to get here people! The biggest and luxurious one is Calica Resort. This resort had villas with 2-3 bedrooms per villa. On weekend the 2 bedroom villas rent price start from US$376 (they had their own swimming pool/private pools). This prob best choice for families. Other options would be Tanjung Lesung Beach Hotels. The cottages start from US$236 for 2 persons. The hotel is next to Calica. When we walk by the beach we saw one other “cheaper” options for this destination… with a tent! Its called Green Coral---. Its behind the beach house. Beach house is where you could do the water sport activities. The pricing is much cheaper than Bali water sport for sure. But… uhhh I don’t feel like doing jet ski on low water and corals waiting below… its not fun at all… I will upload the pricing picture. With confirmed booking on one of the hotel on the resort (the cheapest I could find! )—the hotel name is Blue Fish at Bunar B&B complex in Tanjung Lesung Resort. The rate for me is not “suitable” for backpacking style. Its cost around 976k per night. It’s a resort anyway…. And yet this is the cheapest among other hotels in same area. 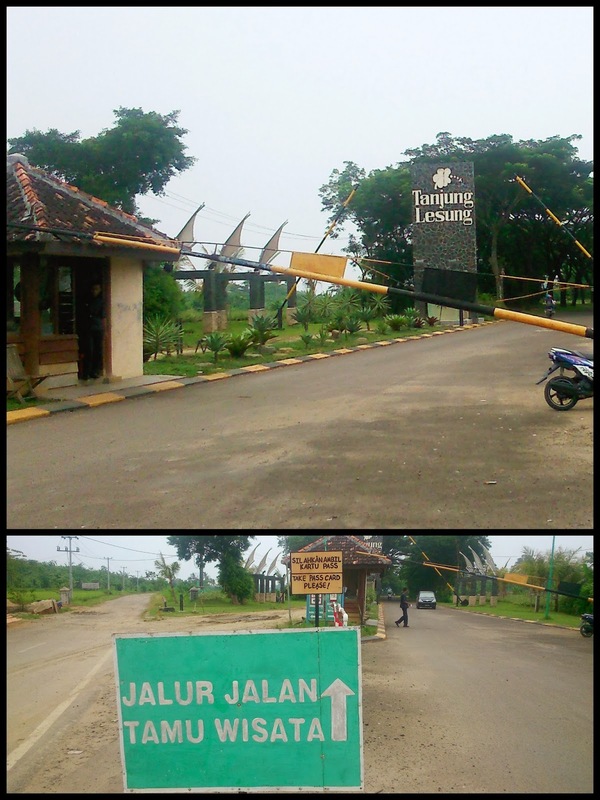 And its still in the same area as other hotel (Tanjung Lesung Resort). There are probably more cheapest accommodation. I saw more than 3 “homestay” on the way to Tanjung Lesung Resort. But this homestay not on internet. I cant find them. One that surely I would recommend would be one where we eat dinner (Kampoeng Nelayan) its less than 2kms from Tanjung Lesung Resort on the right side from Jakarta direction. 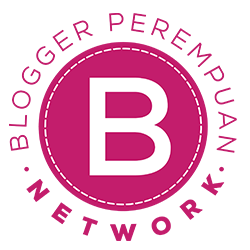 I found some homestay on website, but cant really remember if I saw any of these during my trip… but it’s a good options for budget/backpackers too beside the camping on beach option. I definitely won’t regret my option to choose number one, exit from Serang timur. It took me only 4 freakin hours!! Very relax speed no rush, the roads quite smooth and this is the first time I ever went through this toll road and goes to Tanjung Lesung. I won’t surprise if anyone could do 3 hours! It’s not that jammed, the scenery is good with mountains, and the road smooth for a small region. It’s small and on hilly areas quite tricky as the street small. 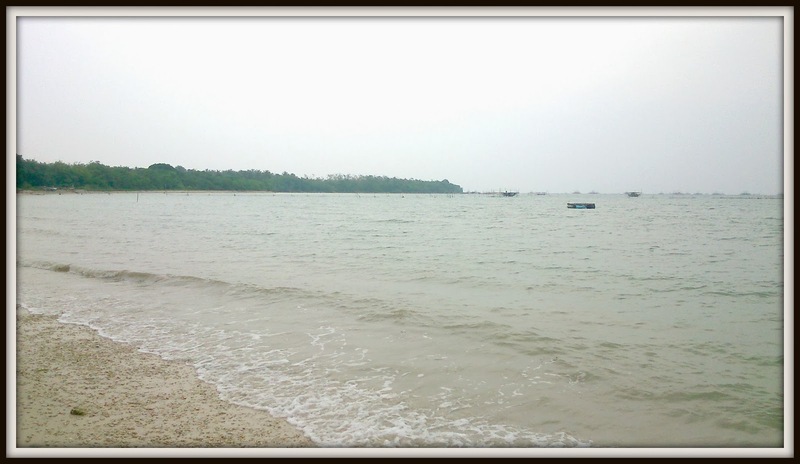 And yes, unlike the Anyer-Carita street… we didn’t see any beach until we pass Pandeglang and enter Labuan. But this option is very good because street in Anyer-Carita is full with beach and it’s so jammed that possible you will end up spending over 5-6 hours to get to Tanjung Lesung by this option! I would definitely will recommend this beach for those who like quiet beach, good for families... and its clean!